Multi-resistant bacteria have learned to survive treatments with antibiotics by developing defense mechanisms. Not all of them are dangerous for human beings. Still, these bacteria are able to transmit their resistance genes to disease-causing pathogens. In this way, the number of resistant germs increases in the environment. "When the bacteria spread, people have contact with them more often. If we do not take action against the spread, the number of effective antibiotics will decrease and, in the end, there will be few substances only or no substances with which we can fight a disease," says Professor Thomas Schwartz of KIT's Institute of Functional Interfaces (IFG). The microbiologist and his team study water bodies for the abundance and spread of clinically relevant antibiotics resistances and bacteria that may be dangerous to humans with a weakened immune system, small children, and elderly people. "With the sewage from hospitals, nursing homes, domestic areas, slaughterhouses, and agriculture, resistant bacteria enter sewage treatment plants. Here, we detected bacteria not only at the inlets, but also at the outlets," Schwartz says. Hence, current sewage treatment methods remove part of the bacteria only, while the remainder is discharged into rivers and creeks together with the processed water. For this reason, the scientists test and assess various methods for the removal of these critical pathogens in sewage treatment plants: an ultrafiltration plant, an ozone and UV treatment, a combination of both, and activated charcoal treatment. "In the case of ultrafiltration, water flows through extremely fine membrane sections and the amount of antibiotics-resistant bacteria can be reduced to such an extent that they can hardly be detected anymore. Ozone treatment, also in combination with UV radiation, enables a smaller, but still promising reduction of germs. For activated charcoal, we found no efficient change, i.e. no reduction," says the microbiologist. Within HyReKA, the scientists plan to develop the ultrafiltration system to maturity and to optimize ozone and UV treatment to enhance reduction efficiency. 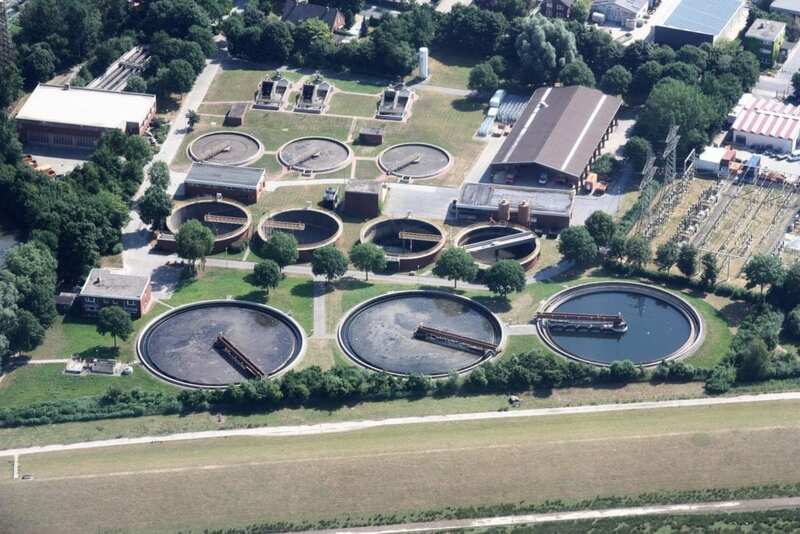 In addition, the scientists of KIT set up an assessment concept for the individual methods, such that study parameters can also be applied to other sewage treatment methods. "In this way, we might provide hospitals, nursing homes or agricultural facilities, where the risk of resistant bacteria can also be suspected to be high, with these technologies to reduce the load acting on municipal sewage treatment plants," Schwartz says. HyReKA is the German acronym of "Biologically and Hygenico-medical Relevance and Control of Antiobiotics-resistant Pathogens in Clinical, Agricultural, and Municipal Sewage and their Importance in Raw Waters." The project is to actively contribute to the population's environment-related health protection. It is aimed at studying the spread of antibiotics-resistant bacteria and antibiotic residues, at estimating their distribution paths, risk potentials, and transmission risks, developing technical sewage treatment methods for sewage treatment facilities, and deriving recommendations for actions. Within the project, researchers of various disciplines, such as medicine, biology, geography, engineering, agricultural sciences, food technology, and food science cooperate with partners from municipal water management companies and industry. Among the partners of HyReKA are KIT, the University Hospital of Bonn, Bonn University, Technische Universität Dresden, RWTH Aachen University, the German Environment Agency (UBA), the Water Technology Center in Karlsruhe (TZW), and municipal partners, such as Erftverband Bergheim, Oldenburgisch-Ostfriesischer Wasserverband (OOWV), Zweckverband Klärwerk Steinhäule, and the industry partner XYLEM Services GmbH.